Every major handset has one, so why not the handheld gaming consoles, right? 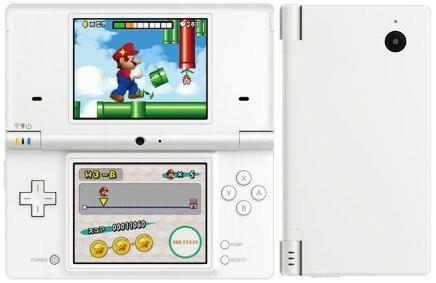 According to a report on Develop, the suits at Nintendo are thinking of making the DSi Shop a bit more than it is right now. Reportedly, bigwigs from the Big N who met up at a company developer conference in London discussed "an exciting and major new app strategy for the DSi," with one source noting that the firm was keen on having devs "offer all kinds of software once the DSi store fully launches in Europe and America." It makes sense to have downloadable short-form titles available; after all, the DSi has an inbuilt camera and microphone, making it perfect for downloading "DSi Ware-like" apps. We'll be keeping a close eye on Iwata's Game Developers Conference keynote for more insight, but 'til then, we're filing this one in the "we want to believe" folder. how much does it cost...?